The Bavinck Institute is pleased to announce Professor John Bolt’s latest publication on Herman Bavinck: Bavinck on the Christian Life: Following Jesus in Faithful Service (Wheaton: Crossway, 2015); in print and ebook via Amazon, Google Books, WTS books. is whether this great Reformed theologian, broadly celebrated for his erudition and theological genius, practiced what he preached and taught. How does his theology relate to his ethics? In other words, was his great mind combined with a warm heart for the Lord and a commitment to a life of Christian service? Does his life stand up to the scrutiny of his own theology? Part 1 explores the basis of Bavinck’s theology of Christian discipleship, which can be summarized especially under the rubrics of creation/law and union with Christ. The three chapters of this foundational section are followed by two chapters describing the shape of Christian discipleship in terms of the imitation of Christ and sketching out the contours of Bavinck’s worldview. The remaining four chapters apply this vision concretely in marriage and family, work and vocation, culture and education, and finally, civil society. The volume concludes with Bavinck’s only published sermon—on 1 John 5:4b—as a summary statement of triumphant Christian discipleship. My translation of this sermon into English was prepared specifically for this volume. 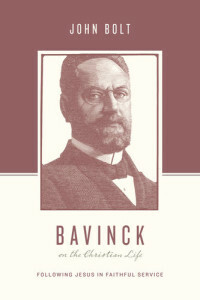 Taken together, the chapters of this volume serve as an introduction to and brief primer of Herman Bavinck’s thought. Congratulations to Timothy Shaun Price on his recent dissertation: “Pedagogy as Theological Praxis: Martin Luther and Herman Bavinck as Sources for Engagement with Classical Education and the Liberal Arts Tradition” (PhD diss., University of Aberdeen, 2013). This thesis seeks to put two theologians, Martin Luther and Herman Bavinck, and their theological traditions in conversation with emphasis upon how they approach the topic of education. Specific emphasis is placed upon their understanding and application of the classical education tradition. The purpose of such a conversation is to point to what returning to Luther and Bavinck as sources can add to a discussion on pedagogy as well as to examine how their theological positions lead to a different emphasis in regards to pedagogy. The thesis is entitled “Pedagogy as Theological Praxis” because it makes the case that there are definite ethical implications in how one approaches pedagogy. In a broader spectrum, the thesis also examines how the epistemological presuppositions of these two traditions may effect the application of their theology. 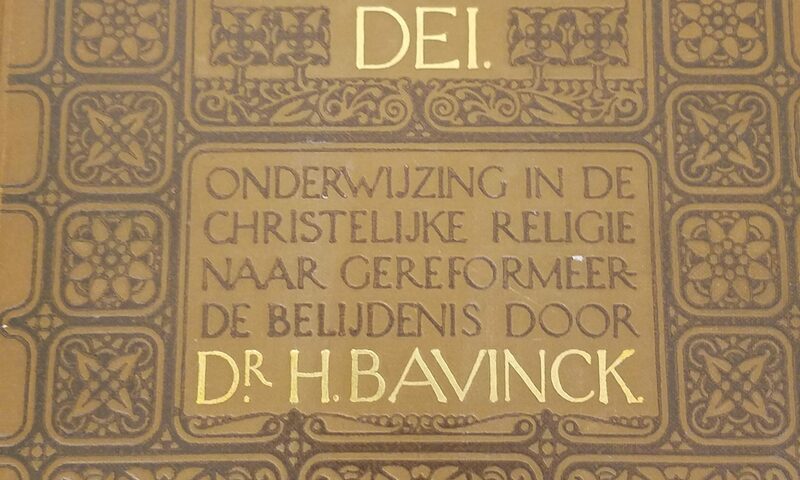 The thesis then shifts to an examination of Dutch theologian Herman Bavinck and his theological tradition of neo-Calvinism. Several prominent themes in neo-Calvinism are noted, and the distinctive contributions of Bavinck are also examined. As the thesis previously applied the framework of Luther’s theology to his work, the thesis also applies the Reformed neo-Calvinist framework to Bavinck’s article “Classical Education” and his book Pedagogical Principles. The thesis ends by putting Luther and Bavinck, as well as their traditions, into conversation in regards to the subject of Christian classical education. Emphasis is placed upon the North American context, which has seen a recent resurgence in the practice of classical education. Luther’s and Bavinck’s distinct contributions are placed alongside the contemporary practice of classical education for the purpose of fruitful dialogue and engagement. The Bavinck Institute is pleased to announce its second publication this spring: John Bolt, A Theological Analysis of Herman Bavinck’s Two Essays on the Imitatio Christi: Between Pietism and Modernism (Lewiston, NY: Edwin Mellen, 2013). Professor Bolt defended his original dissertation in 1982 at the University of St. Michael’s College, Toronto, under the title, ”The Imitation of Christ Theme in the Cultural-Ethical Ideal of Herman Bavinck.” For the published edition he has updated the scholarship and added a concluding chapter on application and relevance. Also, he has included the first available English translations of Bavinck’s two imitation articles of 1885/86 and 1918.